Faced with the impending shut down of the state government, Democrats have begun fighting amongst themselves. Senate President Pro Tem Mike Morgan accused his own Democratic governor of “playing politics” in the failure to pass a budget agreement in the regular session. Morgan said Henry’s plan to cut $320 million in income and estate taxes disproportionately benefits the wealthy and does not provide enough money for essential state services. Earlier in the session, the Senate majority passed a $480 million income tax-cut bill out of committee. Now, Senate Leadership is looking to kill the bill that would return the nearly one billion dollar back to the taxpayers. With seven Democratic Senators facing term limits, this about face could be a political move to force a government shutdown. In the event of a shutdown, state Democrats will most likely take a page from the national Democratic playbook and try to shift the debate away from the skyrocketing state budget, which has become an increasing liability to both the Governor Henry and the Senate Democrats. The growth of state spending under Democratic leadership is sure to be a hot-button issue in this fall’s elections. Oklahoma’s budget has risen from $2.5 billion to over $6 billion dollars in the last 10 years. During the same time, state government grew 30% faster than the private sector. Gov. Henry is particularly vulnerable, given that his budget for last year included an unprecedented 12% growth in the size of state government. OKLAHOMA CITY (AP) _ Oklahoma City police say the top aide in Oklahoma to Senator Jim Inhofe is hospitalized after apparently being beaten. Police say John Collison of Edmond has a fractured face, pelvis, ribs and wrist plus injuries to his jaw and liver. Sergeant Paco Palderrama says Collison was found Sunday morning about 4 a-m lying on a loading dock outside Bricktown Ballpark in downtown Oklahoma City. Collison told police he couldn’t remember being attacked or anything that happened after 10:30 Saturday night. Collison is responsible for managing Inhofe’s Oklahoma staff and day-to-day operations in the state. 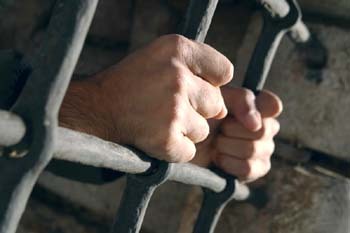 According to the National Institute of Corrections, the latest statistics available (2004) report that Oklahoma’s crime rate is 17.92% higher than the national average and the correctional supervision rate (number of offenders supervised per 100,000) is 15.79% lower than the national average. Instead of granting clemency to illegal immigrants on death row, maybe Governor Henry should focus his attention on protecting innocent victims like Mr. Collision. Oklahoma Political News Service wishes Mr. Collision a full and speedy recovery. OK Political News Service Flashback! OKLAHOMA CITY An Oklahoma Highway Patrol bodyguard for Lt. Gov. Mary Fallin has resigned after admitting ”unprofessional conduct” amid allegations by her estranged husband that she had an affair with a bodyguard. Mrs. Fallin, a Republican who was elected to a second term last month, filed for divorce last week. At a hearing, Fallin’s attorney raised an allegation about the lieutenant governor having an affair with an unidentified bodyguard. The trooper was not identified and Ricks was reported unavailable for further discussion of the matter. Lana Tyree, Mrs. Fallin’s attorney, later issued a statement saying the lieutenant governor would have no comment. ”Out of legitimate concern for the privacy and welfare of her minor children through the Christmas holidays, Lieutenant Governor Mary Fallin, having denied the allegations, will not respond to or debate these issues in the media and will make no further public comment,” the statement said. Mrs. Fallin, 43, and her husband have two children, ages 11 and 8. In court, Mrs. Fallin had said the allegations of an affair with a bodyguard were a rumor started by her husband. At last week’s hearing, District Judge Jerry Bass prevented Fallin’s attorney from pursuing questions about an alleged affair. In response to a question from his wife’s attorney, Mr. Fallin said he had hired a private investigator to follow her. Another hearing in the divorce case is set for next Monday. TULSA, Okla. – The debate over precisely what constitutes sexualrelations has spread from the nation’s capital to this heartlandstate, where the lieutenant governor is accused of an improperrelationship with a state trooper. married, is now asking for his job back. “That was a rumor started by my husband,” she responded. any “sexual activity” had occurred. executive director of the state Democratic Party. Check Is In The Mail? Not only do Senate Democrats not want to return the nearly one billion dollar surplus back to the taxpayers, apparently the Oklahoma Tax Commission is following suit. OKLAHOMA CITY The Oklahoma Tax Commission say a computer problem is responsible for the agency misplacing as many as 5-thousand Oklahoma tax return checks. The problem occurred when the bar code on the returns and the bar code on some income tax return software products were wrong. The legislative process is sometimes similar to making sausage; if you saw the process, you might not want to enjoy the final product. OKLAHOMA CITY – A five-page bill dealing with tax issues grew by more than 100 pages overnight and was approved by the Legislature on Friday, the last day of session, in a most atypical fashion. Up until Friday morning, Senate Bill 1084 was a little bill to clarify the effective date for a tax credit offered to biodiesel facilities. But when it emerged from conference committee and hit the Senate floor Friday afternoon, it was 114 pages long and was being referred to as the “omnibus” tax bill. The version heading to the governor’s desk deals with everything from the tobacco tax to municipal annexation, coal production, home builders, church construction, advertising for sporting events, disabled veterans and rural electricity cooperatives. Although the Legislature adjourned without a budget agreement Friday, several bills were signed, many are awaiting the Governor’s signature, and many died. HB 2615: Stand Your Ground provides immunity from criminal prosecution or civil action for using justifiable deadly force. HB 2840: Kelsey Briggs law, reforms the state’s child welfare. SB 1951: Extends the ban on funeral protests to within 500 feet of any place where a portion of a funeral service is held. HB 2842: Would reform the state’s Medicaid system. SB 1577: Would plug a tax credit loophole that could cost the state hundreds of millions of dollars if left unchecked. HB 3119: Would have required state employees to report illegal immigrants seeking state services to the federal authorities. SB 1815: Would delay until 2008 when electronic campaign report filing would start. HB 2158: Would require that children’s books containing homosexual content and pervasively vulgar and sexually explicit material be shelved in the adult area of the library. "Like Sand Thru The Hour Glass"
OKLAHOMA CITY (AP) — The Oklahoma Legislature convenes a special session to finish work on the state budget before the new fiscal year begins on July 1st. With lawmakers facing a constitutional deadline to adjourn their regular session today at 5 PM, Governor Brad Henry ordered the special session for lawmakers to continue working on the budget and avoid a possible government shutdown. State House Republicans and Senate Democrats are at odds over tax relief and spending priorities. OKLAHOMA CITY – An appropriation expected to be $1 million to help military communities avoid base realignments was approved Thursday by the House by a vote of 98-0 and now moves to the governor’s desk. Senate Bill 1675, by state Sen. Randy Bass, D-Lawton, and state Rep. Don Armes, R-Faxon, would place additional funding in the “Oklahoma Strategic Military Planning Commission Incentive Fund,” which allows communities that are home to military bases to apply for matching grants for infrastructure and road improvements. The fund was created last year after the federal government’s latest round of the base realignment and closure process. OKLAHOMA CITY – Legislation aimed at cutting in half the time it takes to permit a new oil refinery passed the state House Wednesday by 95-4. House Bill 2810, by state Rep. Lee Denney, R-Cushing, and Senate President Pro Tempore Mike Morgan, D-Stillwater, now goes to the Senate for a final vote. You are currently browsing the Oklahoma Political News Service blog archives for May, 2006.